RIO GRANDE — The University of Rio Grande and Rio Grande Community College works to connect the community to educational opportunities outside of the classroom. 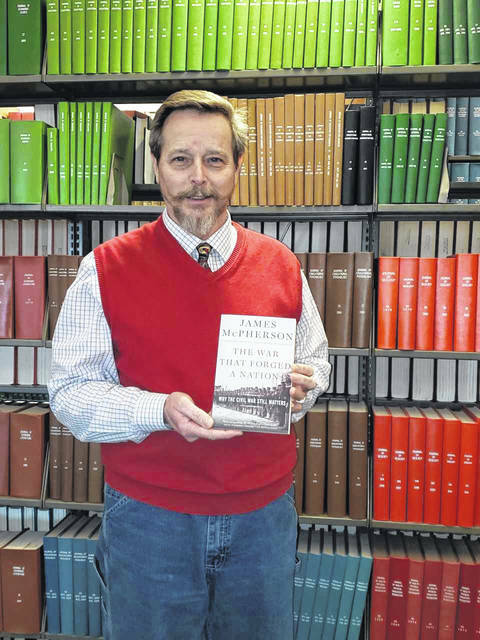 To continue this effort, Professor of History Dr. Sam Wilson is teaming up with Bossard Library in Gallipolis to begin a book club focusing on Civil War history. The round-table book club will meet quarterly at Bossard Library with the first meeting set for 10 a.m. Saturday, May 11. Wilson said he believes it is important for Rio to provide opportunities for educational discussion off campus as a way to connect with the community. The first book the club will discuss is “The War that Forged a Nation,” by James McPherson. The book gives in depth looks into the impact the war has had on the history of the United States and the influence it still has generations later. Wilson said he feels this is an important starting point because of the work’s significance in scholarly research regarding the Civil War area. Both the Davis and Bossard Libraries work to bring a variety of educational opportunities and resources to the community. The Bossard Library’s Adult Programing Associate Lynn Pauley said she believes it is important to connect with the community through collaboration and offering a variety of activities covering a wide variety of interests. “The War that Forged a Nation” is available to borrow at Bossard library or through interlibrary loans at the Davis Library. Anyone interested in more information about the book club can contact Sam Wilson at swilson@rio.edu or Lynn Pauley at the Bossard Library at 740-446-7323 ex. 229.